Motorola sidesteps the spec war, putting user-friendly features front and center. This review was published on February 07, 2015. Since then, this product may have been discontinued or replaced. Pricing and availability may differ from what is stated in the review. Samsung may dominate the Android market today, but that wasn't always the case. For years, when it came to non-Apple smartphones, Motorola was the brand of choice. Through a successful partnership with Verizon, the manufacturer was responsible for the iconic, long-lived Droid line. More recently, it was acquired by Google, which mined its unique features to round out Android 5.0 Lollipop and the Nexus 6 smartphone before selling it off to Lenovo. Today the last devices developed under the Motorola-Google partnership are hitting the market, and they're undoubtedly the company's finest efforts to date. Motorola certainly didn't hold anything back for this year's Moto X (MSRP $499.99). The new model retains all the best features from the 2013 Moto X and tweaks them for enhanced usability, while liberally applying key hardware upgrades. Fans of the original may not like how much Motorola's flagship has grown in the last year, but to our minds, the additional horsepower and gorgeous full-HD screen more than make up for a slightly bigger pocket presence. The new Moto X isn't a benchmark-beater, but it hits almost all of the right notes on its way to proving that, in 2015, the best smartphones put brains ahead of brawn. In some ways, the 2014 Moto X is quite similar to its predecessor. It's still thin around the edges, with a back that gently bows out toward the center. 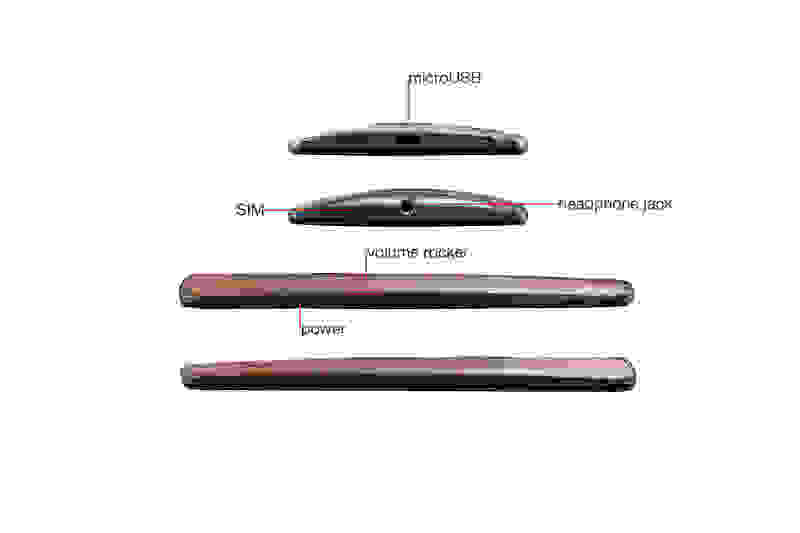 The back can still be personalized—along with several other components—through Motorola's unique Motomaker program. You can choose the front color, back color and material (including leather and wood options), and trim color. It's a killer feature, and one Motorola has capitalized on by offering college sports–themed cases with team colors. The phone's gentle curve may actually be one of its biggest selling points. While other manufacturers are falling all over themselves to make thinner, lighter, flashier devices, the Moto X seems like it's been designed to fit the hand. The now-iconic "dimple" on the rear serves as an additional ergonomic feature, giving you a little extra purchase when you hold the phone one-handed. The Moto X's front-facing camera is a fairly standard 2-megapixel unit. It's help you'll probably need, given the jump from a 4.7-inch 720p screen in the 2013 Moto X to a 5.2-inch 1080p display in this year's model. Yes, the screen is bigger, but it's not going to give you hand cramps. On the other hand, it is going to dazzle your eyeballs. Not only does the OLED panel boast extremely accurate colors, but its contrast is virtually infinite. 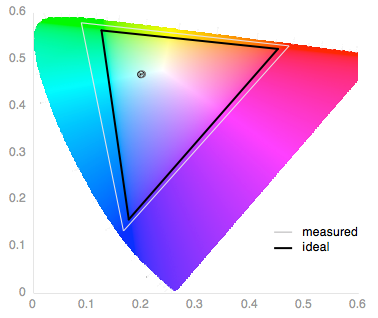 Though it's "only" 1080p, the pixel density is much higher than it needs to be to qualify as a "retina" display. Under the hood, the smartphone isn't packing the latest and greatest tech, but it's more than capable of holding its own. A 2.5GHz Qualcomm Snapdragon 801 quad-core CPU is backed up by an Adreno 330 GPU and 2 GB of RAM—not thrilling, but more than enough to power through all but the most demanding games and apps. The 2300mAh battery may seem a bit small, but in our day-to-day experience, the Android software and OLED screen did a great job of stretching it out. After an average day of use—unplugging at 7:30AM and using a mix of WiFi and 4G throughout the day, we've routinely arrived home with half or more of the battery life remaining. Your mileage may vary, of course. Active notifications are a great way to stay updated without putting strain on your phone's battery. But beyond the raw specs, it's the unseen hardware and innovative software features that make the Moto X such a refined smartphone. 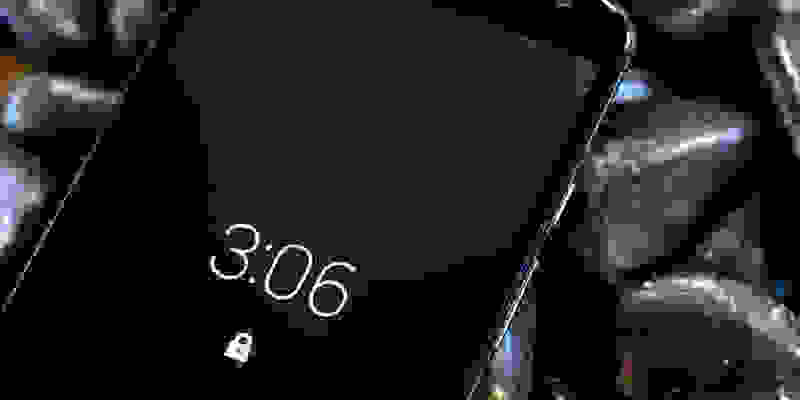 The most immediately noticeable is Motorola's unique Active Notifications. 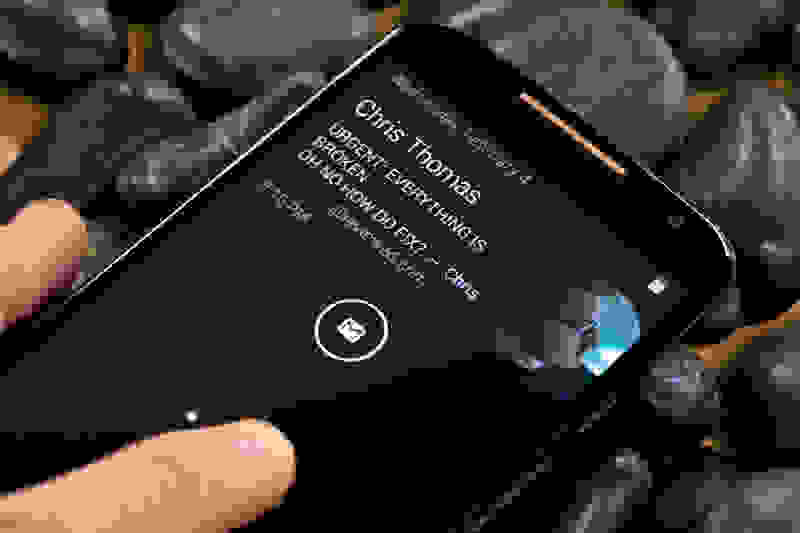 Instead of using a status LED or waking the entire screen to let you know when you've received a notification, the Moto X presents you with a simple black-and-white icon. Pressing the icon brings up a short summary, and you can either slide up to go directly to the associated app or slide down to unlock the phone. If the notification isn't important, you can also just swipe it to the right or left to dismiss it. Thanks to the OLED screen, these notifications only light up a few pixels, conserving battery life. But Active Notifications are clever in other ways, too. For one thing, they take advantage of four proximity sensors positioned at the corners of the front face. Simply wave your hand over the phone and the notifications light up. They'll also come to life when you pull the phone out of your pocket, which has the side effect of letting you easily check the time. How many licks does it take to get to a center of a Moto X? Since we tested the 2014 Moto X, the Android 5.0 Lollipop update has rolled out from some carriers. We've had good luck with Lollipop, but a few bugs have cropped up since it first hit the scene. There have been reports of memory leaks and homescreen redraws—issues that don't affect units running 4.4 KitKat. 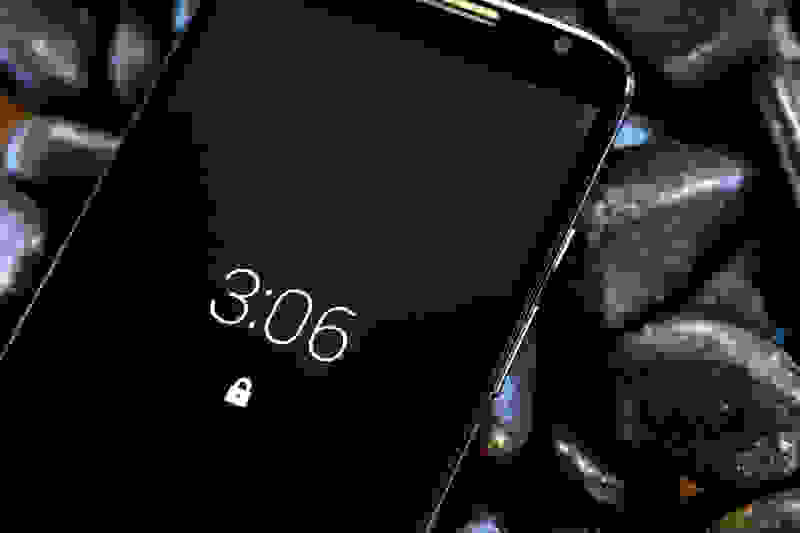 We mention the older software for good reason: Google gleaned many of Lollipop's signature features from its partnership with Motorola, so Moto X users "stuck" with KitKat are already closer to the Lollipop experience than most. Google Now can be accessed either via voice command, pressing the home button, or swiping left from the home screen. For example, Motorola's Moto Voice (formerly Touchless Control) lets you summon up Google Now from any screen using only the power of your voice. It's an unbelievably convenient feature, and it even works when the phone is ostensibly asleep. You can even program in your own custom launch phrase ("Ok, Mister Peanutbutter!") if you don't feel silly enough saying "Ok, Google Now!" You might look like a crazy person barking orders at a phone sitting across the room, but it feels pretty good to dial up some Barry White without having to get up and mess with the stereo. If we're actually headed towards Ray Bradbury's vision of the smart home, this is surely one of the first steps. To Motorola's credit, it has shown admirable restraint and good taste in its customizations. There's no proprietary launcher or bloatware bogging down your system; it's downright refreshing to find a near-stock version of Android on a flagship phone. All of the Motorola apps included in the Moto X are legitimately useful, including Moto Assist (which turns off the ringer when you're in meetings and reads texts to you while you're driving) and Moto Connect (which lets you text from your PC browser). With Active Notifications, you can preview your emails, texts, and other notifications without fully waking your phone. Like other flagships, the Moto X offers the full suite of Google apps, as well as all the standard smartphone functions. GPS, NFC, Bluetooth, LTE, and GSM antennas are all present and work flawlessly. Motorola's peripheral ecosystem is also ever-expanding, now including the Moto 360 smartwatch and the Moto Hint, which takes the concept of a Bluetooth headset quite a few steps further. Just, uh, don't fall in love with your phone like Joaquin Phoenix—I can assure you, it doesn't love you back. While we generally recommend getting a good set of headphones to use for movies and gaming, the Moto X's front-facing speaker (mono, despite the dual grilles) is surprisingly powerful. You definitely won't have to cup your hand around the bottom to hear your favorite YouTube videos. The new Moto X is sleek and stylish, with customizable details. Ultimately, the Moto X epitomizes the idea that clever software enhancements matter more than cutting-edge hardware in modern smartphones, when even the cheapest models can fly through everyday tasks. This is a phone that just works, striving at every turn to create an enjoyable user experience. Whether it's Active Notifications saving battery life, eye detection dimming the screen as you look away, or even the subtle contours of the chassis, it's clear this phone's goal is to win over the user, not to win the spec war. 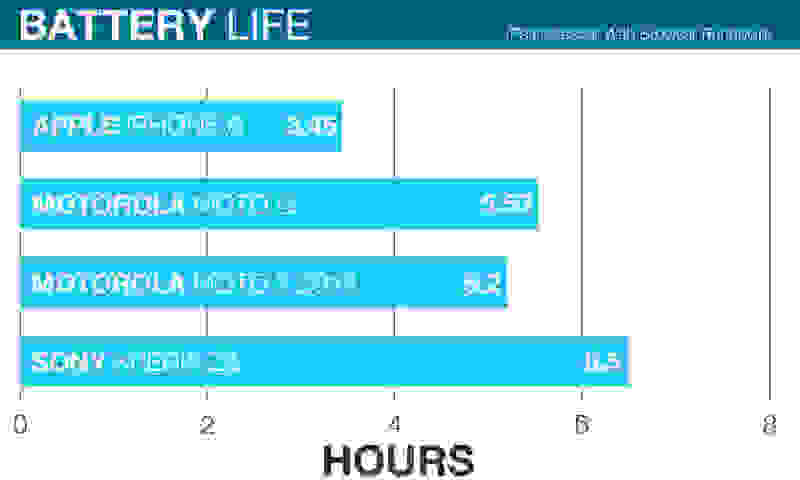 The Moto X's benchmarks may not be the stuff of AnTuTu legend, but we've charted them all the same. The main story here is that the 2014 Moto X is powerful enough for today's everyday demands, but doesn't go above and beyond. The Snapdragon 801 processor performs much like it does in the myriad other Android phones sporting the same chip, including the Sony Xperia Z3, LG G3, and Samsung Galaxy S5. The same goes for its GPU, as well. It sounds like a putdown to call this merely "average" performance, but we're at a point in smartphone evolution where "par for the course" is hardly a drawback. The 2014 Moto X is powerful enough for today's everyday demands, but doesn't go above and beyond. If you're a movie nerd, you'll love the Moto X's display. OLED screens boast incredible contrast, but this one excels at color accuracy too. In fact, there are so few places where this screen falls short that most of our gripes are philosophical. Sure, it doesn't use wildly oversaturated colors, or even use a standard gamma, but within the bounds of established screen standards this phone is among the best. The only serious point of concern is a relative lack of peak brightness versus reflectivity. While the reflectivity itself is commendable (2% direct, 13.1% in all directions), the peak brightness of 390.16 cd/m2 could be cause for concern, depending on how you like to use your phone. It's more than bright enough to stand up to a brightly lit room or even a stroll in the park, but this probably isn't the phone you want at the beach. The Moto X's battery performance is a letdown in the context of monster phones like the Xperia Z3 and Samsung Galaxy Note 4, but compared to the iPhone 6 it's basically Methuselah. In our web rundown test, the Moto X lasted 5 hours and 10 minutes—not all that great for a contemporary Android device, but when an iPhone can't even hit 4 hours we're really picking nits. You may find that using a darker theme and sticking to WiFi will improve your battery life, but you can rest assured that this phone will last you through the day in most cases. The newest Moto X lags behind some other Android phones, but trounces the new iPhone handily. Heat buildup is a common complaint with OLED screens, and the Moto X does indeed get a little toasty if you ride it hard. Just be sure to put the phone down every so often and you'll be fine. The same components tend to get used over and over again in today's smartphones—kind of like how Taco Bell has made a business of coming up with new combinations of the same five or six ingredients. That includes the camera modules, and lately the go-to has been a 13-megapixel Sony-made unit. But the way each camera's software handles image processing can vary wildly. Like other Motorola cameras we've tested, the one in the 2014 Moto X all over the place in terms of performance. The 2014 Moto X's LED flash ring is intriguing, but its results are more or less standard issue. Still images are solid in bright light. They're quite sharp, routinely topping 2014 LW/PH at MTF50 (albeit with a lot of software assistance), colors are fairly accurate with a ∆C 00 saturation-corrected color error of 3.09, overall saturation is pleasingly but not obnoxiously high at 115.8%, and white balance errors (notoriously difficult to handle) are kept below 500 kelvins no matter the lighting condition. Sharpness in shots is largely due to software overshoot and processing. But in low light the wheels come off the wagon. 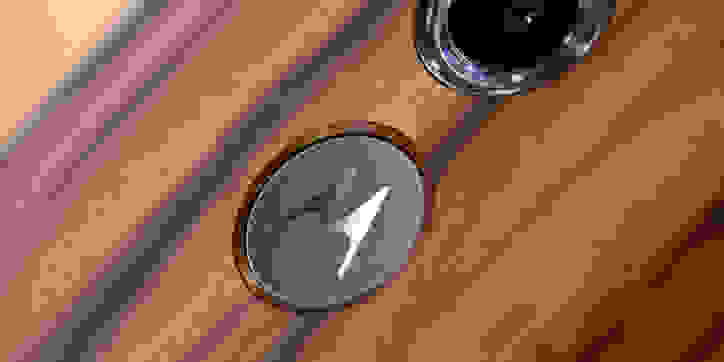 That's primarily because Motorola has decided to use an unbelievably aggressive noise reduction algorithm that removes sharpness and fine detail along with grain. Any time you shoot after dark, you're going to notice some degree of detail loss, and it gets worse the less light you have to work with. Among the many smartphones I've tested, this is, by far, the one most hell-bent on eliminating noise—even at the cost of overall image quality. Motorola's noise reduction algorithm causes destruction of fine detail, false coloration, and splotchy shots in low light. On the other hand, the 2014 Moto X's 4K 30fps shooting capabilities are rock solid; it's definitely among the best 4K shooters we've tested so far. In the lab under bright light, sharpness was exemplary. We recorded about 1250 LP/PH in 4K, and downsampled footage created truly awesome 1080p clips (though you need to know what you're doing with a video editor to get good results). Lines start to blur together a hair beyond 1250 LP/PH. In the real world, we ran into the same issues that plague most other smartphone cameras. You'll see frequency interference in things like bike spokes and fences posts, and artifacting is visible (if thankfully minimal). You'll notice few if any trailing issues in your video clips, though—both 1080p and 4K footage looks quite smooth. One of the many reasons for the iPhone's overwhelming popularity is that it's dead simple to use. Few Android phones can match its user experience, but the 2014 Moto X is one of them. From its wonderfully ergonomic shape to its thoughtful software customizations, it's clear at every turn that it was designed to fit into your life. We can't emphasize enough how useful Motorola's Active Notifications are, taking Android's already superior notification system to the next level. Moto Assist is another huge win, intelligently managing your ringer and other key functions behind the scenes, saving you from workplace embarrassment and trouble on the road. And Moto Voice, while perhaps less broadly useful than the other two, is an awesome party trick and a legit bonus for certain users. The 2014 Moto X's OLED screen is one of the best around. Sure, this isn't the most powerful smartphone around, but its Snapdragon 801 processor is far from antiquated, there's plenty of RAM, and the Adreno GPU gets the job done 99% of the time. That said, it's worth noting that the rest of the smartphone pack is starting to leave the Moto X behind, and we wouldn't be surprised to see an updated version arrive in the next six months—perhaps as soon as Mobile World Congress next month. We wouldn't be surprised to see an updated version arrive in the next six months. If you're looking the phone with the best camera, this isn't it. While the imaging performance is greatly improved over the 2013 version, it's merely average for today's smartphones. The iPhone 6 Plus and Sony Xperia Z3 both trounce it, for example—particularly in dimmer light. The Moto X 2014 Edition is currently available from three of the big four carriers, with only Sprint missing out. If you want to buy the phone outright and don't mind being locked into a proprietary ecosystem, you can also get one from low-cost MVNO Republic Wireless for $399. Verizon users will need to choose between the Moto X and the Droid Turbo, which look quite different but offer many identical features. You can also buy the Moto X off-contract, direct from Motorola through its site. 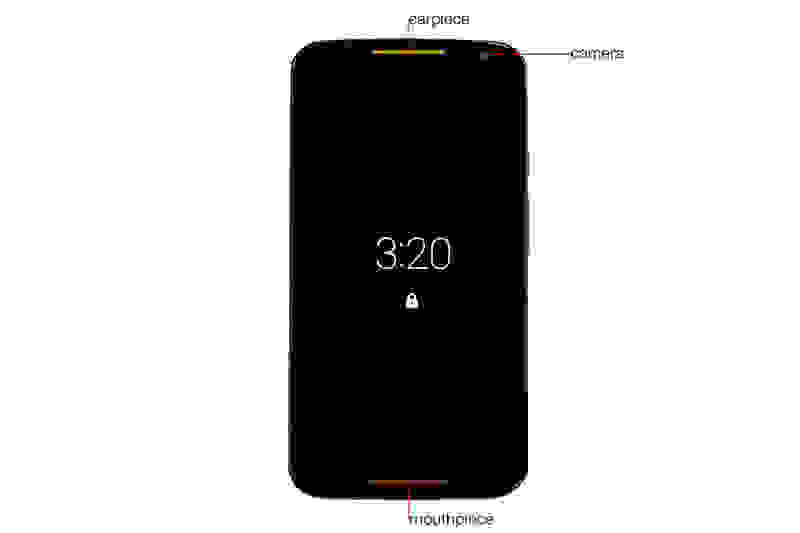 And if you're looking for an even larger phone, the Google Nexus 6 is in many ways just a scaled-up Moto X. The top-mounted headphone jack may prove annoying, depending on your phone-pocketing preferences. The Moto X's OLED screen unlocks some amazing capabilities, including active notifications. Compared to some competitors, Motorola's branding is rather subtle. LCDs can't touch the contrast provided by an OLED screen and it isn't even close. 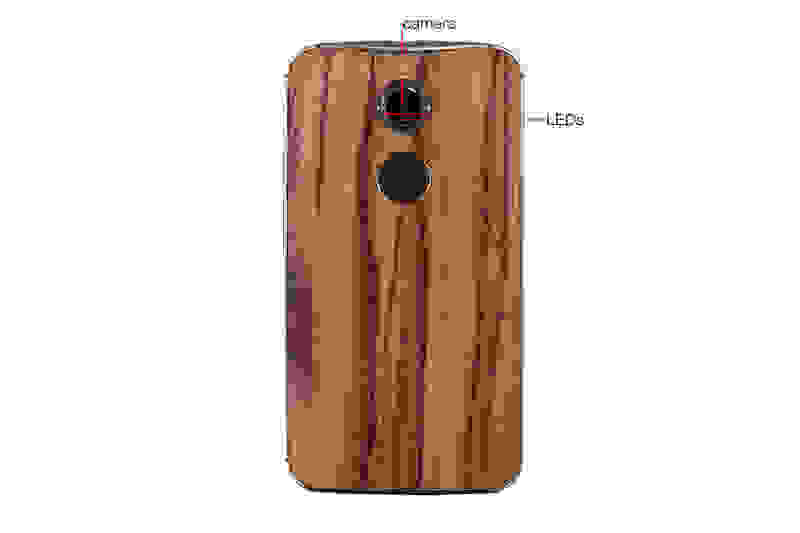 The Motorola Moto X 2014 uses an expanded color space.